Patrick said that “he went where no man had gone before.” That expression, which is still in use today, we probably got from St. Patrick. In our hero’s day it was extremely dangerous to head-out to parts unknown, so most didn’t try. But these fears didn’t stop Patrick; he was driven to fulfill his mission regardless of the cost. It was these combinations of drive and humility which were the key to Patrick’s life’s work, a work that not only wrought great changes among the Irish people, but the rest of the world. Patrick brought Christianity to Ireland, but it was a different sort, a revised version of the one that emanated from Rome. First of all, the Ireland of Patrick’s day lacked villages from whence parishes emerged, and cities, where dioceses were formed, were scarce. Thus the Irish church, not having a centralized religious authority, was “anchored by monasteries which became not only religious sites of scholarship and spirituality, but economic and market centers…” The Irish then, to some extent, had their own version of Christianity which they molded to their own experiences. In keeping with this joyous spirit and love of humanity, Patrick did not, McCourt tells us, “as other missionaries in other places would later, condemn the Celts as ignorant infidels or uncouth Pagans. Instead, he took the Druidic world and tried to explain it in Christian terms.” In other words, instead of driving people away by self-righteous arrogance, Patrick sought to win their hearts. 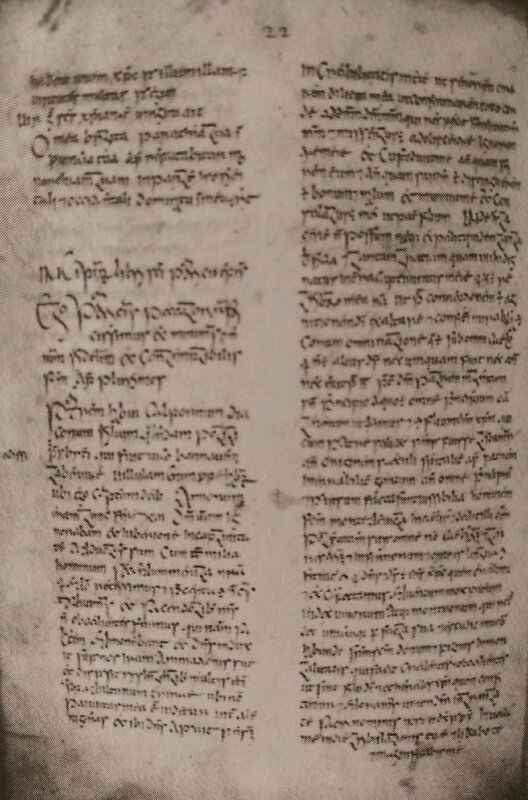 As a drop of ink makes millions to think, “perhaps most important of all, Patrick’s importing Christianity to Ireland brought ‘writing,’ a skill that would not only advance Irish civilization immeasurably but, would also save the civilization of the western world” (Malachy McCourt, History of Ireland). Joy combined with self-sacrificing love, not the sword, wins affections and transforms lives. Be like Patrick.